The idea that lead was ever used in pencils is a myth that derives from the association with the stylus of Roman times being made of lead. 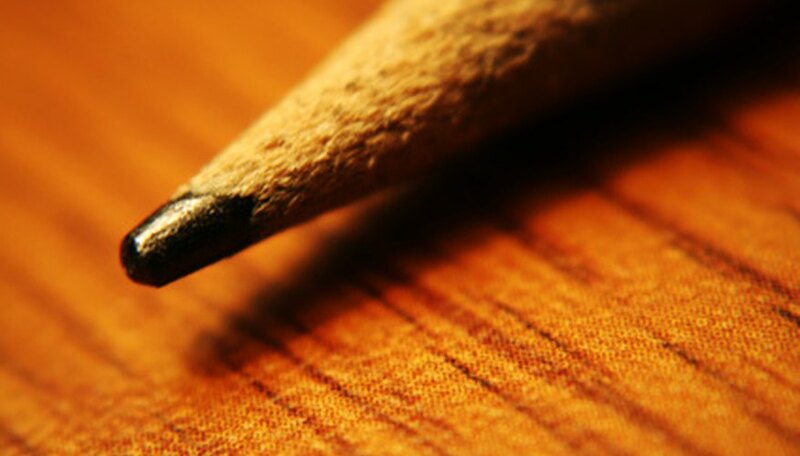 The writing material in pencils is actually graphite. A large granite deposit was discovered in Borrowdale, England, in 1564. The material was eventually referred to as "blacklead." Finding that it left a dark mark ideal for writing and drawing, the English found that the only drawback was that the material was brittle and soft and required a wooden holder. In 1795, Jacques Conte patented a process of mixing powdered graphite with clay in a way that revolutionized the pencil industry. Not only did it reduce costs, but the concentration of clay allowed more control over the lightness or darkness of the graphite on paper. Charles Dunbar, Henry David Thoreau's brother-in-law, discovered a graphite deposit in New England, which resulted in the pencil industry being centralized near the graphite core. Eventually, Thoreau pencils were considered the finest in America. Since pencils do not use lead, there is very little to be concerned regarding lead exposure. The only relevant concern may be the yellow paint used to color the outside of them. In The United States, the Consumer Product Safety Commission regulates that the lead used in paint be no more than ninety parts per million, which is well below the amount used in the lacquer to color pencils.